Evergreen High School currently as three choirs: Concert Choir, Lumine, and Choral Images. EHS puts on 3 concerts every year as well as a Madrigal Faire. The choirs also sing in events in the Evergreen community. 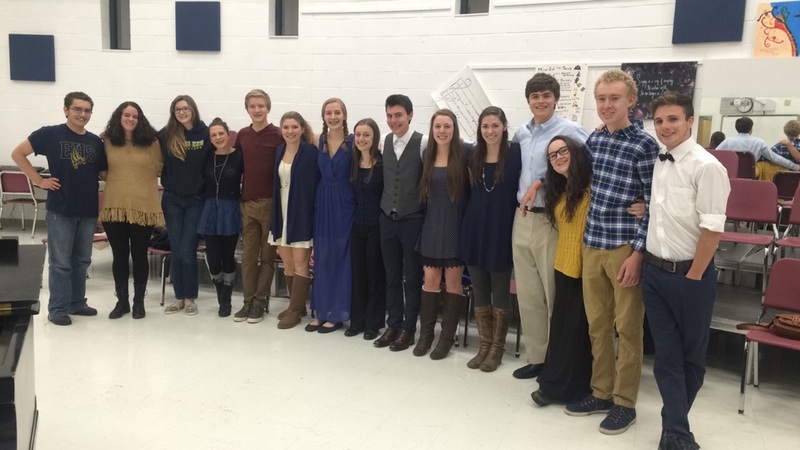 Students in EHS Choir participate in Jefferson County choir festivals, All-County Choir, and All-State Choir. In 2017, EHS's Choral Images performed at Carnegie Hall in New York City. Kirsten Carpenter is the Director of Choirs at Evergreen High School. Ms. Carpenter holds a Bachelor of Music Education degree in voice from the University of Northern Colorado. While at UNC, Kirsten performed the roles of Adele (Die Fledermaus), the voice (La Rondine), and a fairy (Midsummer Night's Dream). She also performed as Zerbinetta (Ariadne auf Naxos) and Emilia (Otello) in opera scenes productions. In the summers of 2011, 2012, and 2013, Kirsten traveled throughout Germany and France with Opera Classica Europa where she sang as a chorus member of many operas as well as the role of Giovanna in Rigoletto. Most recently, Kirsten spent the summer of 2018 performing at Quisisana Resort on Lake Kezar in Maine where she performed in many aria concerts and as Giannetta in Donizetti's Elixir of Love.